vCenter Server has been tweaked with this upgrade keeping its two deployment options, installed on a Windows Server or as an appliance. VMware is strongly recommending using a single VM for all vCenter Server core components (SSO, Web Client, Inventory Service and vCenter Server) or to use the appliance rather than splitting things out which just add complexity and makes it harder to upgrade in the future. vCenter 5.5 on Windows has been made much more efficient with many performance improvements in the database and overall system. vCenter 5.5 on Windows now supports up to 1,000 hosts and 10,000 VMs. The vCenter Appliance has also been beefed up and with its embedded database supports 500 hosts and 5000 VMs or if you use an external Oracle DB (No MSSQL support planned) the supported hosts and VMs are the same as for Windows. The vCenter 5.5 installation has changed the order of the simple install from 5.1 by swapping the order of the Web Client and Inventory Service installations so you have the Web Client available earlier on in the install chain for troubleshooting if something goes wrong. IBM DB2 is no longer supported as a database for vCenter Server 5.5. The Web Client continues to evolve with more functionality and performance enhancements and is now able to manage larger inventories as detailed above. The Administrative UI has noticeably improved performance with a faster response time and a more native web applications feel. There are more search filters and the great addition of the ‘recent object’ bread-crumb tabs help you find and manage what you are looking for with fewer clicks. The legacy C# VI client is still with us. At some stage in the future the Web Client will be the only client but there are a number of VMware and 3rd party plug-ins that still need to be ported over. I would think over the next year there will be a big push to move everyone over to the Web Client only and plug-ins will be rewritten to take advantage over the richer integration possible. Some functionality is already only available in the Web Client. The vCenter appliance in 5.1 had a handy upgrade system with a single click upgrade option. This is now been made available for the Windows installation which will be great news for anyone who has tried to individually upgrade the multitude of vCenter components. This will also update the JRE and tc Server components, you download the patch and load the .ISO which will launch automatically. 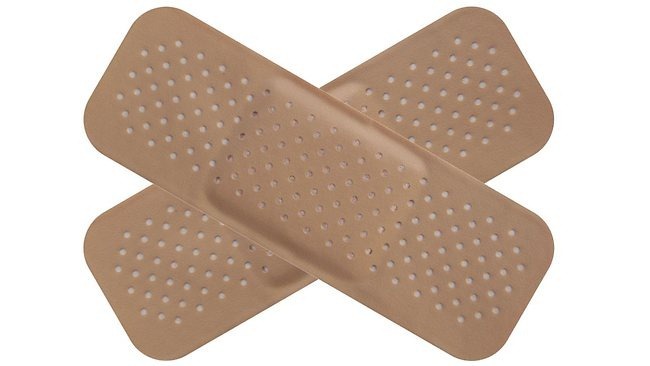 Select “Patch All” to apply. You can select “Patch Details” to see the details. Simples. Update Manager has now been partly integrated with the vSphere Web Client. I can’t believe this didn’t originally make it into 5.1 and it’s still only partly integrated with 5.5. Using the vSphere Web Client you can attach and detach baselines and baseline groups, scan an inventory object and view compliance and scan results. You will still need to use the old vSphere Client to create your baselines and baseline groups, import ESXi images and stage and remediate your hosts. Its such a pity that at least staging and remediation isn’t available in the web Client as this is a typical support task still requiring two clients. Update Manager can upgrade hosts to ESXi 5.5 along with VMTools and VM Hardware to version 10.
vCenter Server Heartbeat has had a minor feature release to improve the overall installation and setup task. Some of the unnecessary screens have been removed from the installation workflow for the active and passive nodes. 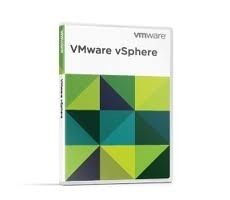 vSphere 5.5 now supports VMDK disks larger than 2TB. Disks can be created up to 63.36TB in size on both VMFS and NFS. The max disk size needs to be about 1% less than the datastore file size limit. Large files can now also be contained within a single VMDK. vSphere version 5.5 and VMFS 5 are both needed to support these larger disks for block storage. On VMFS the max VMDK size is 63.36TB. On NFS the max file size limit depends on the underlying storage file system and so could be less than 63.36TB. ext3 for example has a max size of 15.84 TB. The Max VMDK size on VMFS3 will remain 2TB. This new command will allow the user to specify the number of blocks to reserve at a time and then issue UNMAP. The esxcli implementation allows users to script the operation across hosts over the network so it can be run during a scheduled downtime or during off-peak hours. The file delete operation is no longer affected by latencies in the storage target response to UNMAP commands. The new UNMAP is supported on vSphere 5.5 and VMFS only but is not supported with Synchronous UNMAP – VMFS will not automatically issue UNMAP commands as part of the file delete operation.